Looking for hobbies for my son we found racing pigeons. 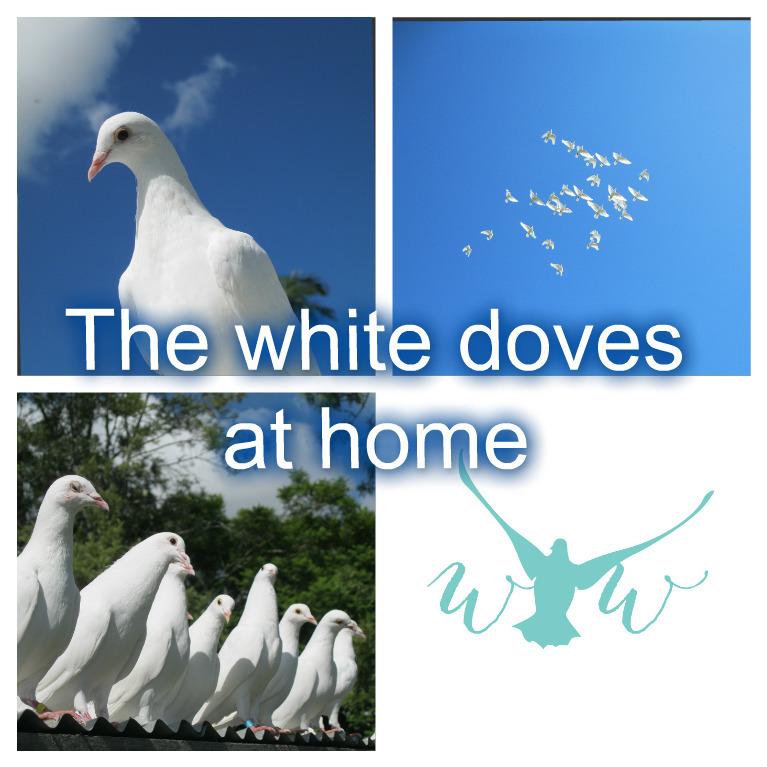 We competed as a junior member in a local racing pigeon club for two seasons, during a training session with the birds, I realised I had two whites training with them, from this Epiphany on Anzac Day 2014 at Palmwoods I boldly went forth in establishing a White Dove Release Business. 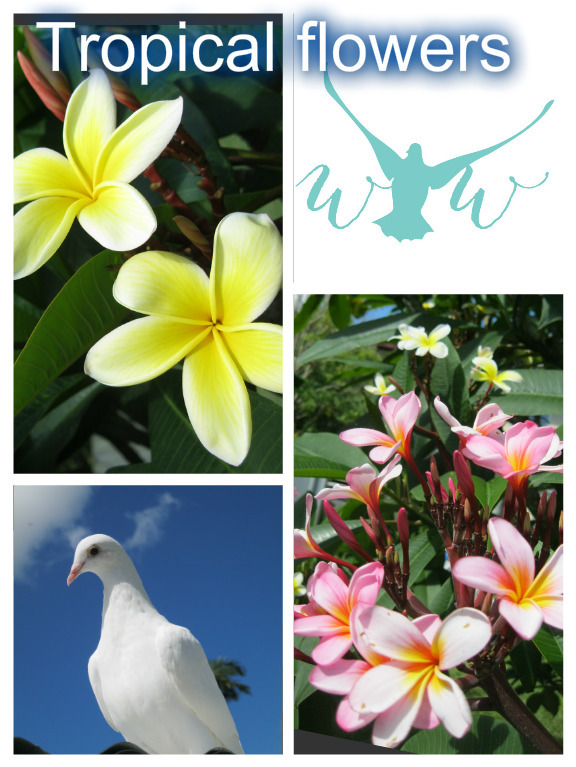 When at events our doves have stage names – Pache (peace) and Amore (love) these names resulted in our good friends from Noosa Moke Hire – Tony & Rita, with Mary Bruce – wedding celebrant, initiating the dove naming. When at Samoan celebrations their stage names are Filemu (Peace) and Alofa (Love), this was with the help from our Samoan friend Harry who is fluent in Samoan. Each dove has their own perch (personal space), in a north facing custom designed loft, the front has full ventilation and the back smaller ventilation, the roof is insulated and walls are lined. The floor has fine clean sand for hygiene and comfort. The doves are fed pigeon pellets – The diet is nutritionally balanced for essential nutrients such as protein, energy, vitamins and minerals which are required for strong, healthy growth, fertility, hatchability and racing performance. The advantage of feeding a pelleted diet is that the birds cannot be selective in what they eat. Consumption of essential micro nutrients such as vitamins and minerals are assured. With fresh water daily and given commercial & natural supplements during the moult and on other occasions. Their rooms are cleaned regularly, with access to sunbathing on the sundeck and occasional water baths. The doves are checked for signs of health twice daily, and given prompt attention and treatment when unwell. The owner is a member of the local racing pigeon club since being involved with the young son. With lost birds being reported, cared for and returned promptly. Our new young white doves out exercising in the morning sunshine. Here’s a few other pretties, the Frangipani Tree planted by the owners parents, has 4 different colours, each with a different fragrance. Some of the fragrant flowers in the dove’s garden.